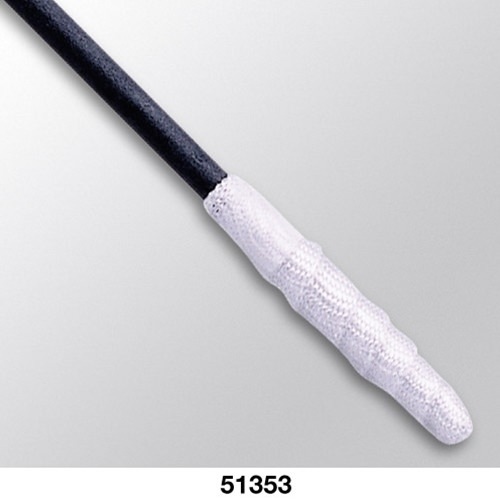 The patented Diamond™ Swab has a wrapped tubular knit polyester construction which eliminates all seams and cut edges where most particles are generated. Eliminating hard seams also reduces the potential for scratching delicate surfaces. The wrapped design also creates superior absorbency by wicking action. U.S. Patent numbers 5214821 and 5346287 and foreign patents. Specify the Aqua-Prime™ process for the cleanest swabs.